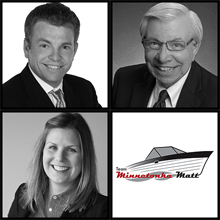 Local author Scott McGinnis has a deep knowledge of the Lake Minnetonka area and its history. We recently hosted a wine and cheese event at an historic home, located at 2909 Westwood Road in Minnetonka Beach. Scott was our guest speaker; he presented stories about the history of Lake Minnetonka and the various neighborhoods that have developed over the last century and a half. He also spoke specifically about the Westwood home and its double lot, located steps from the Lafayette Club, as well as insight into its architecture. Scott's books are available at local stores including Bookcase of Wayzata, the Shorewood Yacht Club, Leipold’s Gifts and Excelsior Bay Books. For more information contact Scott McGinnis at 612.210.1424 or scottdmcginnis@earthlink.net.